Don't expect the U.S. government to back off its push for technology vendors to build encryption workarounds into their products, even though the FBI acknowledged it may have a way to crack into an iPhone used in the San Bernardino, California, mass shooting case. Some lawmakers and President Barack Obama's administration will continue to look for ways to compel tech vendors to help law enforcement agencies defeat encryption and other security controls on smartphones and other devices, security and legal experts said. Even if the FBI can break into the iPhone used by San Bernardino mass shooter Syed Rizwan Farook, it doesn't significantly change the larger discussion about encryption, said Ed Black, president and CEO of trade group the Computer and Communications Industry Association. "There is an ongoing effort by our government and every government around the world ... to want more information." The California mass shooting case, with ties to terrorism, has "whet the appetite to get perfection in surveillance," Black added. Late Monday, the FBI and Department of Justice asked a California judge to delay a hearing, scheduled for Tuesday afternoon, on the agencies' request for Apple to help them unlock Farook's iPhone. On Sunday, an "outside party demonstrated to the FBI a possible method" for unlocking the phone, the DOJ said in a court filing. 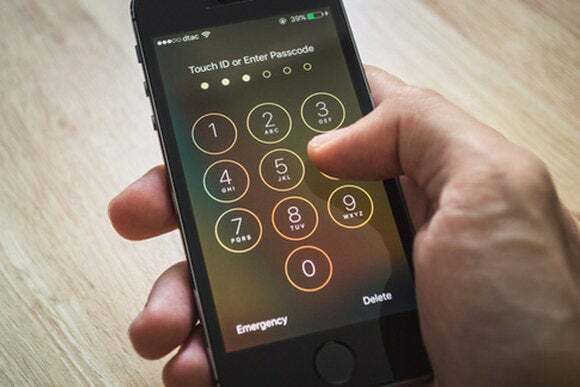 While a newly discovered iPhone unlocking method may help the FBI in this case, there's still a broader issue, legal experts said. A legal precedent may be more beneficial to the FBI "as cracking this device will not provide a long-term solution for future technologies," said Jennifer Dukarski, a technology lawyer with the Butzel Long law firm in Ann Arbor, Michigan. "If the cracking method does work, that one intrusion wouldn’t necessarily be a solution for every system or future iterations." Law enforcement agencies will continue to push for new rules, even as "a successful cracking would also suggest that there isn’t a need for such legislation," she added by email. "What this demonstrates is that providing strong cyber security and encryption is extremely difficult, even for well-resourced companies like Apple," Yoran said by email. "It is impossible to do so with so-called workarounds and backdoors that the FBI seeks."